New York, NY – February 11, 2015 – Attended by arts organization staff from around the country, Building Partnerships through Community Connections, a three day national arts-in-education conference, will take place April 23-25, 2015 in Kansas City, MO. Building Partnerships is hosted by Kansas City Young Audiences and Arts Partners, Wichita, affiliates of the Young Audiences Arts for Learning network. The conference theme, Building Partnerships through Community Connections addresses pertinent issues in the arts-in-education field, such as developing sustainable community partnerships, strengthening advocacy efforts, and creating large-scale programs that demonstrate the power of collective impact. The focus on community partnership is inspired by the 30 year anniversary of Arts Partners, Kansas City, a consortium of 15 premier Kansas City arts organizations collaborating to provide comprehensive arts experiences to Kansas City school districts. Arts Partners, Wichita is also an inspiration for the conference theme; they partner with more than two dozen cultural organizations to create a preschool through twelfth grade curriculum that combines classroom study, field trips, performances, workshops and residencies in the visual and performing arts. 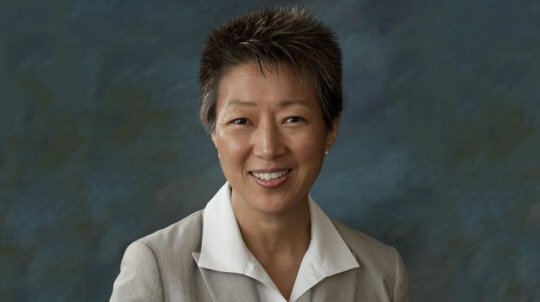 The Young Audiences Arts for Learning network is thrilled to welcome Jane Chu, Chairman of the National Endowment for the Arts (NEA) and Julia Fabris McBride, Vice President of the Kansas Leadership Center as the conference keynote speakers. Before her appointment to the NEA, Jane Chu served as the president and CEO of the Kauffman Center for the Performing Arts in Kansas City, MO, overseeing a $413-million campaign to build the center. She was a fund executive at the Kauffman Fund for Kansas City from 2004 to 2006, and vice president of external relations for Union Station Kansas City from 2002 to 2004. Julia Fabris McBride is the Vice President of the Kansas Leadership Center (KLC). Before joining KLC, she managed her own nationwide coaching business, and taught leadership and management classes at the University of Chicago, Columbia College Chicago, University of Massachusetts and the James P. Shannon Leadership Institute. A graduate of Case Western Reserve University and the Royal Academy of Dramatic Art, McBride’s passion for her work was honed in London and Chicago theatre. The conference also offers an impressive line-up of more than twenty breakout sessions that address topics relevant to our audience and highlights best practices in the arts-in-education field. Participants have the opportunity to learn how partnerships can lead to great success in harnessing the power of STEM to STEAM learning, developing anti-bullying programs for LGBT youth, implementing new National Core Arts Standards, and teaching design through game development. In addition, participants may experience Kansas City’s burgeoning arts scene through site visits: Kauffman Center for the Performing Arts, American Jazz Museum, the Nelson-Atkins Museum of Art and the Kemper Museum of Contemporary Art. Last year's conference was attended by professional staff, teaching artists, board members and artists from leading arts education organizations including: Americans for the Arts (AftA), National Coalition for Core Arts Standards (NCCAS), National Association of Music Merchants Foundation (NAMM), State Education Agency Directors of Arts Education (SEADAE), National Association for Music Education (NAfME).